Maulana Shah Mohammad Abdur Raheem Mujaddedi with his determined efforts and dedications succeeded in acquiring a vast area of land for the construction of Jamea of his dream and twenty second of Shawwal 1396 A.H. i.e. 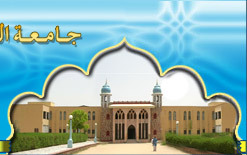 13th October, 1976 was fixed for laying the foundation stone of main building of Jamea. On the same day a group of dedicated persons from all parts of the country assembled together for the scared cause at that fascinating place surrounded by hills. 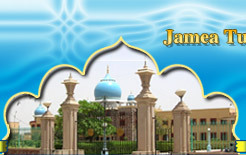 This piece of land which had been mute and deserted for centuries witnessed the most opportune moment and turned to be the centered of rejoining and festivity to welcome the great scholars, intellectuals thinkers and writes of the community and well-wishers and admires of the Jamea-Tul-Hidaya. it was a historic day. In thousands, the Muslims of Jaipur attended the functions and their whole-hearted participation and solidarity added special dimension to that day which finally assumed a historic significance not only for the citizens of Jaipur but also for the people of Rajasthan. The function was presided over by Hazrat Maulana Syed Mohammad Sohrab Ali, the Khalifa of Shah Mohammad Hidayat Ali, the founder of the holy mission and the closest associate of Maulana Shah Mohammad Abdur Rahim. The foundation stone of the great seat of Islamic learning and modern technology was laid by Moulana Syed Abul Hasan Ali Nadwi, the great thinker and scholar of Islam. He delivered and enlightening speech and outlined the aims and objectives of the institution and highlighted the merits of an ideal University. Two years later, on Sunday, the 14th of Jamadiul Awwal 1398 A.H. i.e. the 23rd April, 1978 once again the holy land of Jamea witness another equally impressive spectacle when a grand ceremony of laying the foundation stone of the hostel building was held under the President ship of Hazrat Maulana Syed Mohammad Sohrab Ali, Who also laid the foundation of the building. Twenty fourth of Rabiul-Awwal 1406 A.H. (8th December, 1985) will always be remember as an important day in the history of Jamea. This day was historic and memorable, because it was the day of fulfillment of Shah Mohammad Hidayat Ali's long cherished dream and the day of reward of Shah Mohammad Abdur Rahim's unceasing efforts for three decades which he made to this Holy cause. On the day the grand and magnificent Jamea-Tul-Hidaya was inaugurated and the epoch-making ceremony for Rajasthan and particularly for Jaipur--the pink city, lasted for two day. Once again the blessed call was responded and thousand of scholars, well-wishers and admires from all parts of the country turned uo to witness with their own eyes the unforgettable shape of reality of their ambitions and co=operations and to thank Allah for his favor well-manifested in concrete form.On the occasions Maulana Syed Abul Hasan Ali Nadwi a very close associate of Maulana Shah Mohammad Abdur Rahim and well-wisher of Jamea-Tul-Hidaya in his presidential address to the gathering of about fifty thousand educationists, scholars, and intellectuals of the Ummat and respectable delegates from all parts of the country and the residents of Jaipur, said," I consider myself really very fortune that having laid the foundation stone of the Jamea, at the instance of Shah Mohammad Abdur Rahim, I, by the grace of Allah remained alive to inaugurate it today. It is my duty in all humanity to remind you of the noble aims for which the Jamea has been founded." Maulana Abdul Hai Faiz presented a welcome address to the Precedent of the function, Maulana Abul Hasan Ali Nadwi. The following honorable delegates also spoke on the occasion and enlightment the audience with their views. Honorable Shri Nawal Kishore Sharama, Minister for Petroleum, Government of India & Chief Guest of the function. Mr. Irshad Mirza, M.P. (Gujrat). Justice Farooqe Hasan, Rajasthan High Court. Justice Vinod Shanker Dave, Rajasthan High Court. 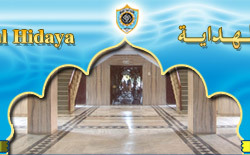 The overall impressive view of the function, the grand and magnificent building of Jamea-Tul-Hidaya, a green and lovely oasis in the desert-surrounded by majestic hill, fine surrounding and beautiful landscape as well as natural science beauty delegated and appeased all those present at the function. The function was conducted by Janab Abdul Hai Shamim in a most impressive and befitting way. He was overwhelmed with the sentiments and impressed the audience with his flowery language. Fascinated by the surrounding and impressed by rejoining and solemnity of the occasion and keeping in view the sincere sentiments of the people, Janab Shamim proposed the name of the valley as 'Wadi-e-Hidayat' which was unanimously approved by the audience as well as by the Hon able Shri Nawal Kishore Sharma, The central Minister for Petroleum and Janab Irshad Baig Mirza, M.P.